Irish Garden House: Saturday's Critters In Art . . .
Saturday's Critters In Art . . .
is in an art form today. The Taste Maker, The Realist, The Great Spirit, The Scold, The Tourist . I thought there were only four sculptures when I took these pictures. a photo of it can be found if you click on the link. 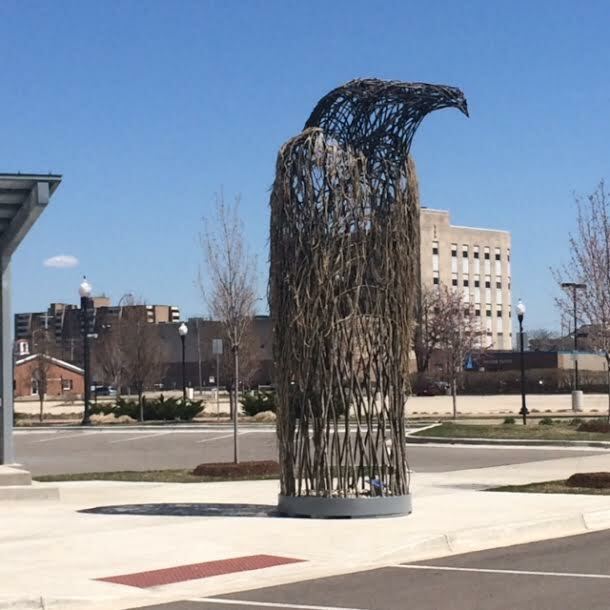 arrived in Muskegon on April 27, 2015.
and stand from 18 to 26 feet tall. 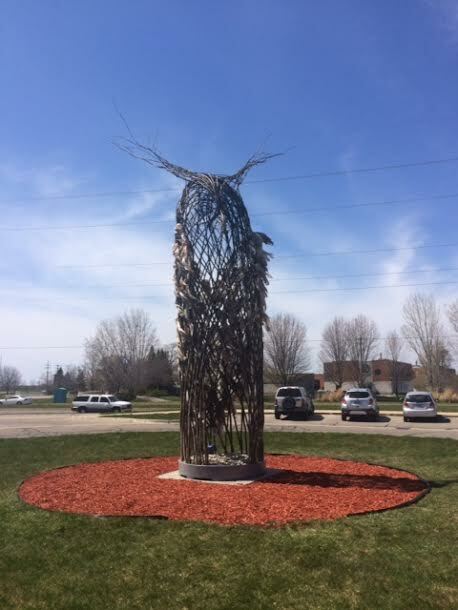 from April 27, 2015 through May 1, 2016.
and the exhibit traveled directly to Muskegon during the week. I enjoyed learning about the sculptures and seeing them in person. exhibited here for the year. and what a fun twist to Saturday's Critters. Lovely huge bird Sculpture and information about it. In the second shotas a crown of blossom. Have a lovely wekend. 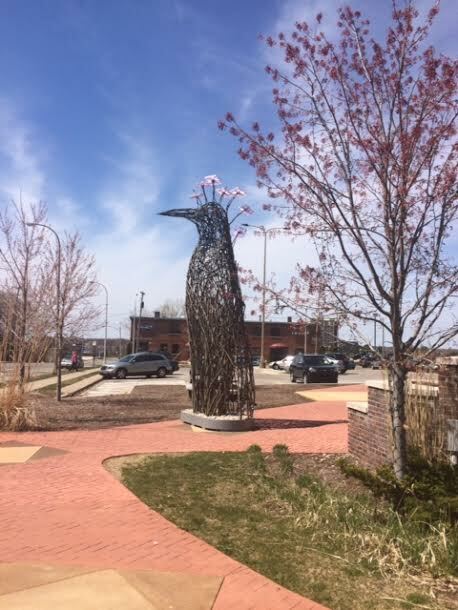 Hello Lynne, they are cool bird sculptures. It is interesting to read what they are made of, twigs and plastic bags. I am glad you were able to see the exhibit before they moved on..Thank you for linking up and sharing your post. Have a happy weekend! OH so VERY cool!!!! i would love to see this in person! That is one of the things that are good about cities. Wonderful art. those sculptures are amazing! Thanks for sharing! Wow,Lynne, those are amazing.. all the work that went into those! Those are really exceptional - and I'll bet they stir up lots of discussion! Amazing. Some people really have vision! I Give A Hoot for that owl! How cool are these !! These are very interesting to see and find out how they were made. Have a great week. What a great sculpture Lynne, Have a nice week. Those are just amazing! I am sure even more impressive if you are standing in front of them looking up! Never have heard of that before! Thanks for sharing! Wow! These are really amazing. I'm kinda smitten with that owl especially! Wow! What incredible sculptures! Thank you for sharing, Lynn! It's so inspiring to see art in your own community. Amazing talent! Those are amazing and really cool. The Avian Avatars are the work of Donna Dodson and Andy Moerlein, a talented, creative, and delightful pair of artists [and husband and wife] from the East Coast. 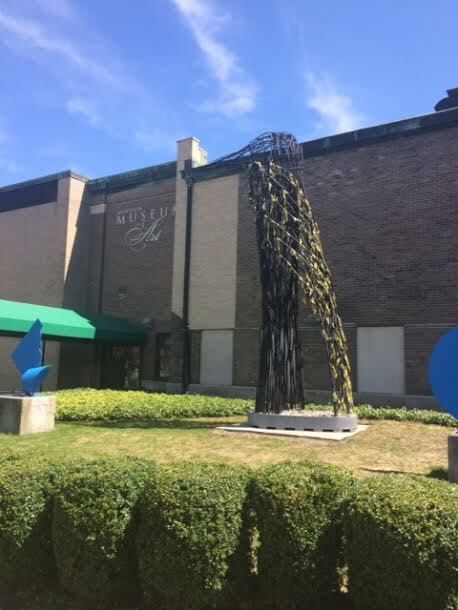 The Muskegon Museum of Art is proud to bring their work to our town, and you can enjoy this added inspiration to downtown Muskegon for the next year!